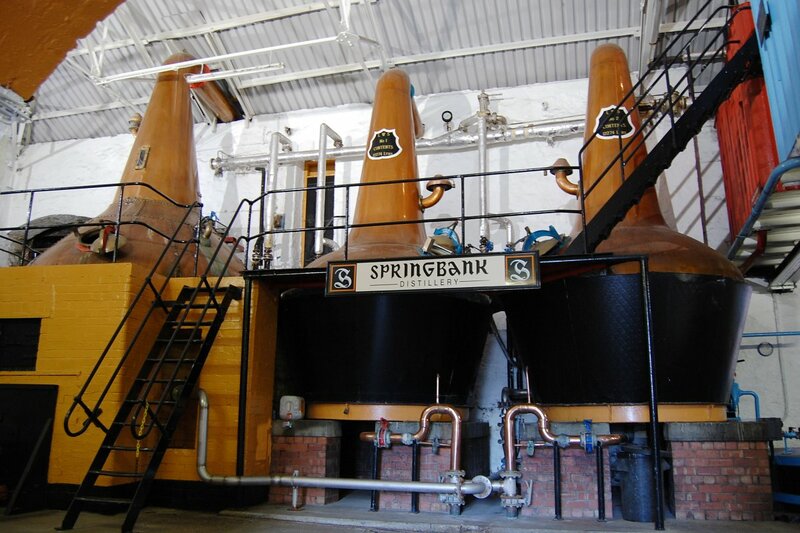 Springbank, and Glenfarclas, are the last remaining family owned distilleries in Scotland. Thank heavens for that too, as Spingbank has seen no need to bow to the pantheon of efficiency, bottomline and misguided trends. In fact, things here truly do attempt to stick to the past, which explains its singularity – Bere barley, sole reliance on its own malting floors, archiac distillation regime, local maturation and bottling being done on its own premises in Campeltown. 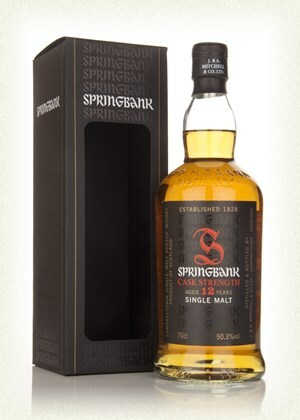 It’s own bottling practices is the very example of old made new again, in these days when cask strength core range malts, no chillfiltration and no spirit caramel addition seems progressive, to Springbank its been something of a cranky old habit. Perhaps its adherence to cranky old habits was exactly what kept it alive when the distilleries of Campeltown, the then whisky capital of Scotland, went bottom up in a lake of poor decisions and bad whisky. 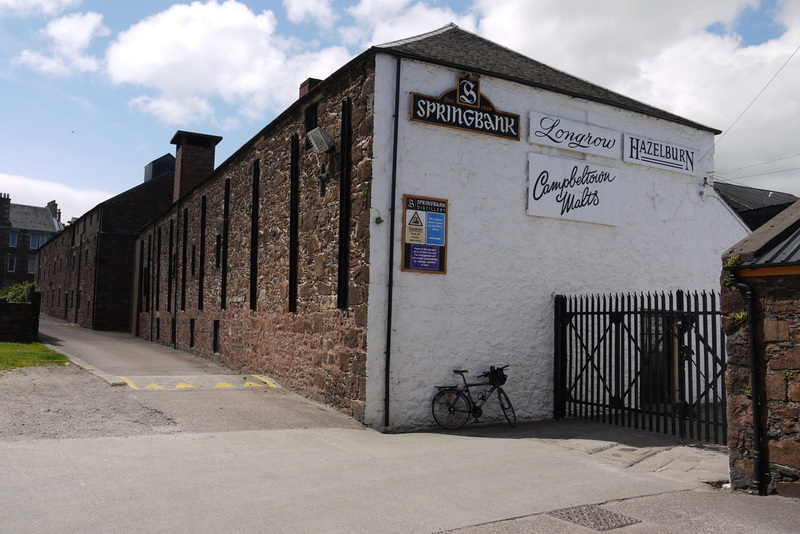 But things today are different and Spingbank finds itself in such a position to be able to reopen the neighbouring Glenglye distillery (which produces the Kilkerran malt, due to a copyright tussle). If you’re into whisky you would have heard that Spingbank produces the triple distilled Hazelburn, heavily peated double distilled Longrow and its own flagship 2.5 times distilled lightly peated Springbank. It does this with just 3 stills at various times of the year, production here is therefore on the lower end of the industry, though I’ld reckon Springbank doesn’t give a hoot. Nose: Not a heavy spirit but does it have big presence. Ok, the wood is in attendance but mingling quietly. Thick cream, dry lacquered white wood. Light maltiness and salt air, citric, graphite cut grass, celery seed? With water: Opens up, more wood, more cream but hotter and more graphite and plastic. Palate: Dry, with an array of chewy toast, salt, carbon paper and something flinty. Then sweeter with some drops of tincture, something acidic that coats the tongue and throat, like the effects of bromelain after eating pineapple. Water: Toned down and sweeter, but still very unmodern. Finish: Long, dry malt bins, salt and acid. Very good for a ‘young’ whisky, did I mention very old school? Something between a northern highlander and an islander, and maybe not the most approachable, but I think I prefer an insider secret this way. This entry was posted on May 21, 2015 by Whiskyrific in Springbank and tagged Springbank.